Get ready for an old-fashioned thriller — “The Wedding Guest,” opening this weekend at the M.V. Film Center. Director Michael Winterbottom, a Cannes award winner for “A Mighty Heart” (2007), digs deep into scenic Pakistan and India for this story about the abduction of a bride-to-be. 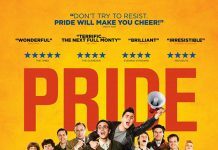 Two of the director’s very different films, “The Trip to Spain” (2017) and “The Trip to Italy” (2014), both starring Steve Coogan and Rob Brydon as comic travel companions, have played at the Film Center in the past few years. 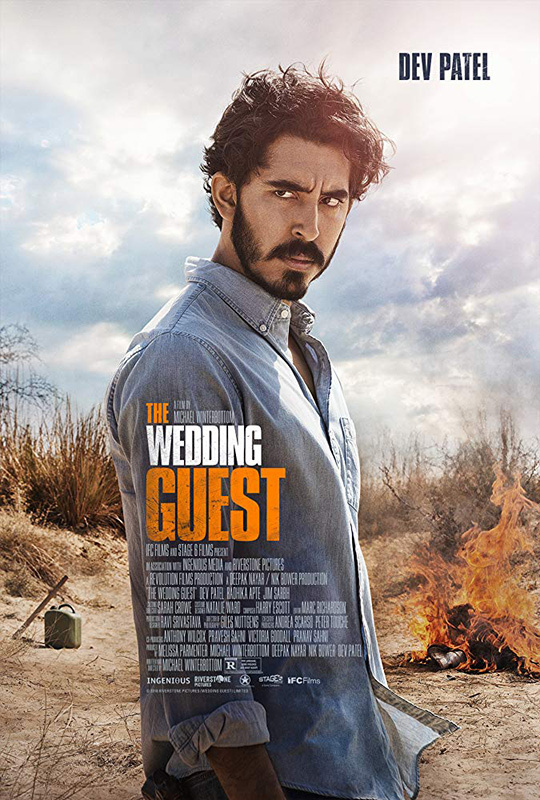 In tongue-in-cheek-titled “The Wedding Guest,” Dev Patel stars as Jay, a Brit who has been hired to abduct Samira (Radhika Apte), the reluctant bride-to-be. Patel earned a Best Supporting Actor Oscar nomination for his role in “Lion” (2016). He is just as well known for his roles in the multiple Oscar-winning “Slumdog Millionaire” (2008) and in the two popular “Best Exotic Marigold Hotel” films. Jay — he uses a number of aliases — packs his bag with several passports in London, then arrives in Lahore, Pakistan. 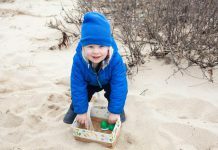 Although his mission remains unexplained at first, it’s clear he’s up to no good. He buys a gun and duct tape, and switches rental cars. Sneaking at night into a house full of sleepers, he grabs Samira. In a desperate escape with her, he shoots the family guard. Nevertheless, the cool efficiency of his operation and his respectful treatment of Samira after the initial abduction scenes encourage viewers to think of him sympathetically. Jay and Samira cross the border into India, where their first stop is Amritsar. Samira’s wealthy lover Deepesh (Jim Sarbh) has arranged for the abduction, and is paying Jay. But he doesn’t show up in Amritsar, so the two move on to New Delhi to meet him there. In order to travel without suspicion, Jay and Samira pretend to be married, occupying the same bed in the same hotel room. Once Deepesh shows up, he protests that the deal is off because Jay has killed the guard and the media are now broadcasting the story of the abduction. “Take her back to Pakistan,” Deepesh says. “I’ll give you €20,000.” Jay lets Samira know what has happened. After a disastrous final meeting of the would-be couple, Jay and Samira travel through India. Instead of going back to Pakistan, Jay decides Nepal will be their final, safest destination, after a side trip to Goa in western India. With Deepesh out of the way, sparks begin to fly between Jay and Samira. Will romance blossom? Just as in “The Trip to Italy” and “The Trip to Spain,” much of the fun in “The Wedding Guest” comes from sharing the characters’ scenic travels. Winterbottom’s use of settings is reminiscent of the way Alfred Hitchcock employs them in his films. “Notorious,” for instance, takes place in Rio de Janeiro, and “To Catch a Thief” in Nice. Even the great director’s American-based films use memorable locales like Mount Rushmore, Hoover Dam, and the Golden Gate Bridge. In “The Wedding Guest,” viewers must be willing to go along with the sometimes implausible twists and turns of the plot. But the fun lies in following the wildcat misadventures of the film’s two central characters, played appealingly by Patel and Apte. Information and tickets for “The Wedding Guest” and other Film Center screenings are available at mvfilmsociety.com.